If you are fascinated by mind mapping visit this indispensable website founded by Liam Hughes, UK. 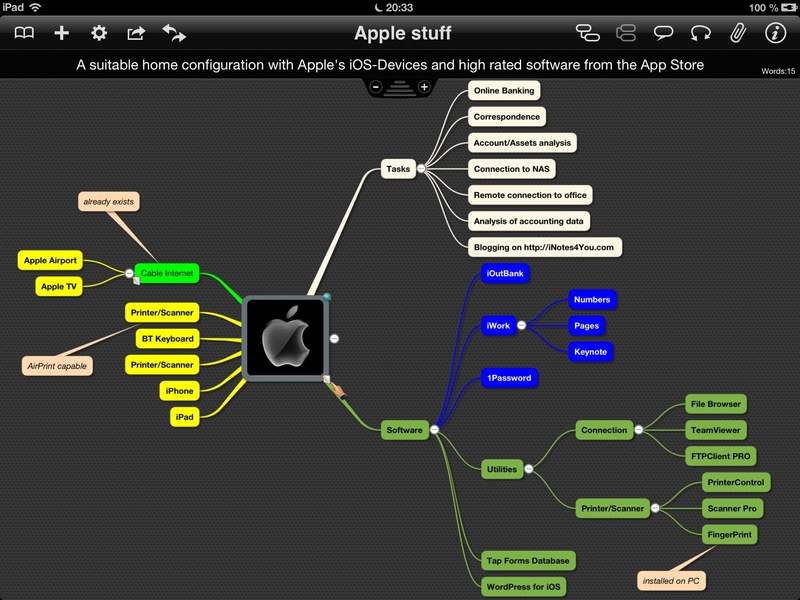 Among others this site presents a group ‘Apple’ where you can find some interesting mind maps regarding Apple products, iOS features etc. Become a member of Biggerplate, upload your mind maps and enrich this worldwide biggest platform with your ideas. Senses are physiological capacities of organisms that provide data for perception. Sight, hearing, taste, smell, and touch are the five traditionally recognized. Evaluating the relevance of senses for learning and creating things sight and touch are the most significant ones. The optics of the eyes create an image of the visual world on the RETINA. Light striking the retina initiates chemical and electrical events that ultimately trigger nerve impulses. These are sent to the brain through the optic nerve (one of the old fashioned extremely powerful but non-wireless-connections). Let’s complete the perception by Apple’s RETINA combined with a mind mapping app from the App Store and the creativity of its users. We talked about vision so let’s first see an example of a simple mind map before further explanations. The example is a visual brainstorming about my personal requirements for buying a suitable hardware configuration for doing the things I have and want to do. I did not use the report format as it does not inspire me while thinking about this topic. Providing the mind map with visual mnemonics, colors, icons and links pools the information and goes along with satisfying the play instinct. This was my first handmade mind map and I must have to say it’s much more convenient to do it without pencil, rubber and all the small sausage on the tablecloth. Here it is reproduced with an app on an iPad. Readers without a suitable app may download a static PDF version without any functionalities like using embedded links or expand/collapse parts of the tree. There is no rigorous right or wrong with creating mind maps relying on the arbitrariness of mnemonic systems. Writing this post for my blog I used mind mapping as well. If you have an idea for a new topic investigation in various sources starts. Mind mapping helps to create a pool of information you get while walking through the facts. In our times the main source of information is the internet. 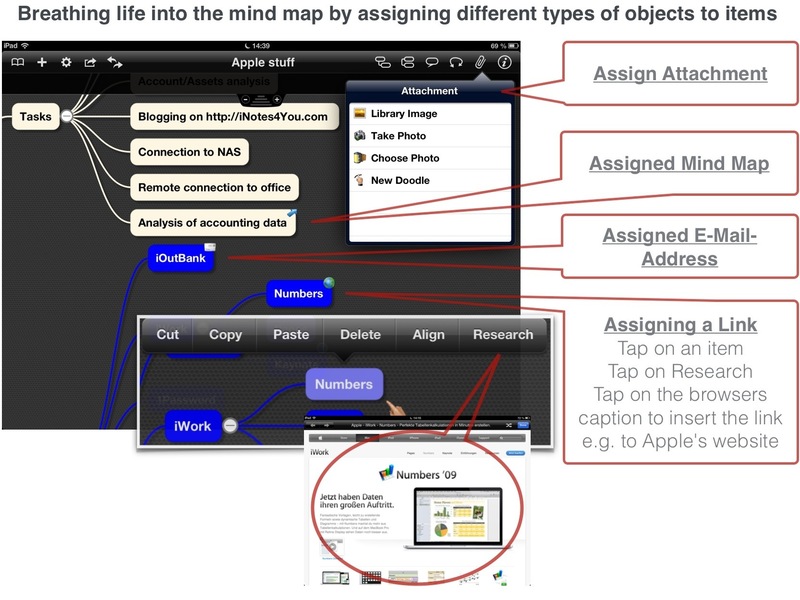 Because of that a mind mapping app should extensively support the connection between mind maps and web access. 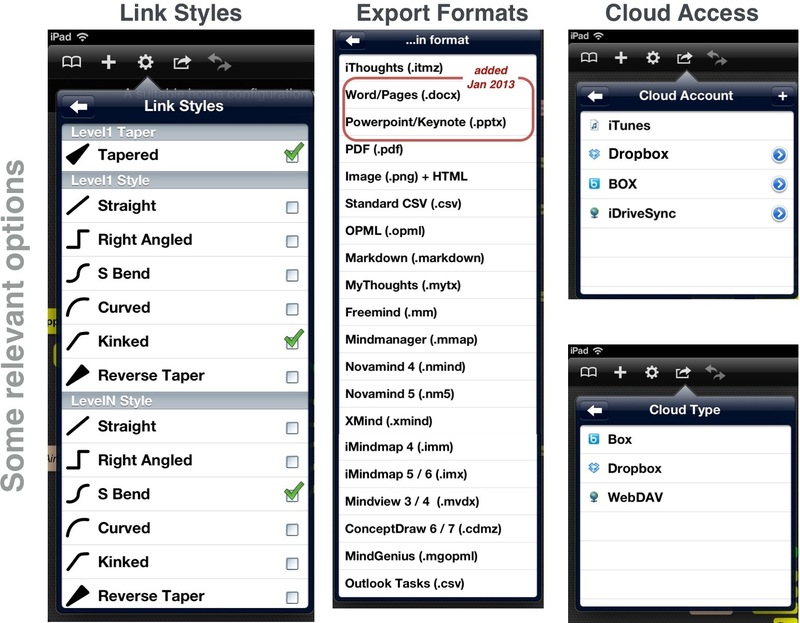 iThoughtsHD for iPad (Developer Craig Scott, UK). The next parts about Mind Mapping will follow on Feb 5 and Feb 7. I appreciate your coming back.